The electronic music festival Movement Detroit revealed the first phase of its huge 2016 lineup, featuring stellar EDM and IDM favorites alongside newcomers. According to Consequence of Sound, the dance music event launches on May 28th and continues until May 20th at Detroit’s Hart Plaza. 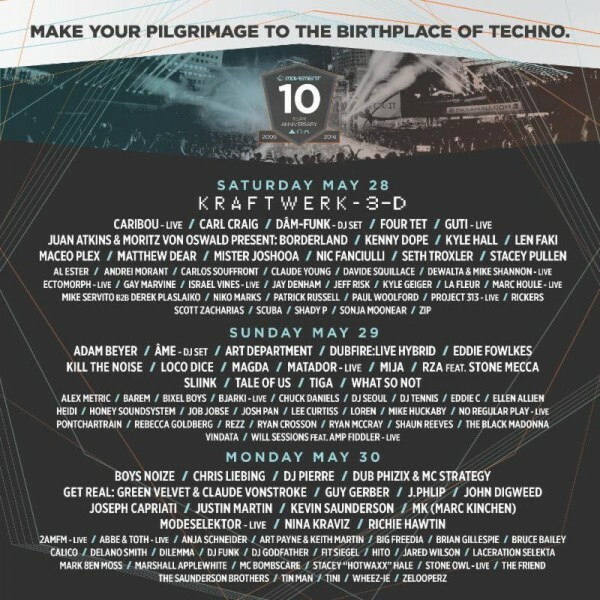 The acclaimed Detroit fest is celebrating its 10 year anniversary with a notable cast of techno giants, such as Richie Hawtin, Adam Beyer, Maceo Plex, Seth Troxler, Tale of Us, Chris Liebing, and Dubfire. The highly anticipated Movement 2016 features sixty artists in one of its strongest Phase I lineups to date. 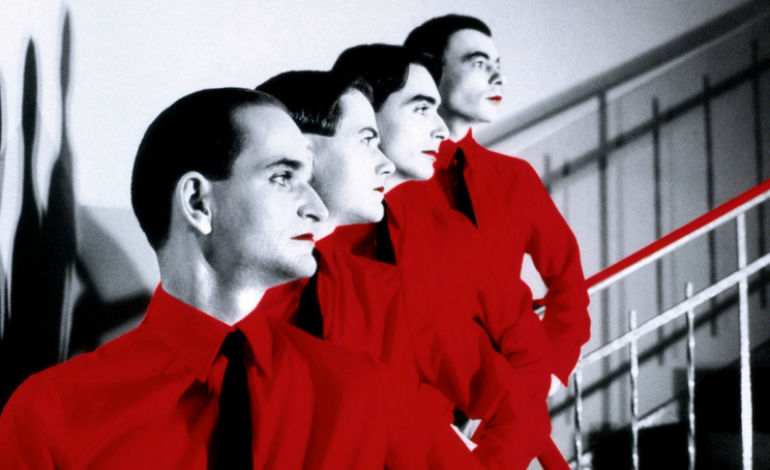 Kraftwerk will headline Movement 2016 with a staging of their acclaimed 3D show. Other notable acts include Richie Hawtin, Boys Noize, Adam Beyer, John Digweed, Paul Woolford, Scuba, Seth Troxler, Caribou, Four Tet, Boys Noize, Get Real: Green Velvet & Claude VonStroke, Carl Craig, Justin Martin, and Guy Gerber. Daphni’s techno alter ego Caribou, who released a dizzying new song “Vikram”, will also appear at the anticipated music festival Field Day. Three-day general admission and VIP tickets are available through the festival’s official website.